For the Service de Police de la Ville de Montréal (Montreal police) maintaining orderly records of the force’s operations is as vital as keeping law and order on the streets. Indeed the two tasks are quite closely linked, and given the size of this force and the scope of its operations – both undertakings pose quite a challenge. The Montréal police service is Canada’s second largest police force, with nearly 4,600 officers and 1,500 civilian employees, and a jurisdiction that extends over 496 sq km and 1.8 million people. Each day data on busts, seizures, arrests, prosecutions, interrogations, court appearances et al are recorded and carefully reviewed by the force’s patrol units, investigators and analysts. However, keeping such voluminous data up to date, streamlined, and easily accessible isn’t easy. Much of the information resides on legacy systems that date back to the 1990s, noted Josée Blais, a commandant with the Montréal police. She said there was an urgent need to replace multiple archaic systems with a consolidated one that would better serve the needs of users. 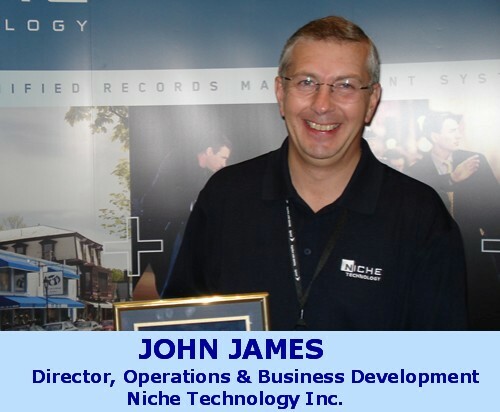 So the force decided to go with a tried and tested product – Niche Records Management System (RMS) from Winnipeg–based Niche Technology Inc. The system is currently being used by more than 50 per cent of all Canadian police officers, including the Royal Canadian Mounted Police (RCMP). Nearly 25 per cent of all U.K. police officers and 40 per cent of Australia’s officers also use Niche RMS. However, instead of deploying all of the modules at once, the Montreal police resolved to start with the Property Management module — one of the six key functional areas of the Niche RMS suite — and take it from there. The rollout was completed in around eight months and by November 2008, users started using the system. The most tangible benefit to users is the dramatic improvement in the reporting and tracking of property and drugs seized during police operations, according to Blais, who led the RMS project team. While the two legacy applications previously used for this task served five locations and one vault housing seized goods, the new Property management module serves a much wider user base – 225 users at 16 locations storing seized goods, and five other units that store drugs recovered during police operations. Elimination of paper records: Prior to the rollout, she said, information on lost, found, seized, stolen or damaged goods taken into police possession for evidential purposes, as well as drug seizure data was recorded on the two legacy systems, as well as on paper. Now paper records have been eliminated, improving and simplifying information access. Standardization and improved tracking – The RMS rollout, Blais said, has standardized storage processes for all 16 locations and five drug units. This means there’s a common process for recording all information on seized goods (what’s seized, where and when, in what quantities and so on). There’s also a comprehensive record of the chain of custody for every item — from seizure to release. Efficiency and better communication– While records on seized goods are very detailed, the new system also ensures that required information can be easily accessed. And that’s a far cry from when the two legacy systems were in use. Those systems didn’t communicate with each other so information retrieval was more of a challenge then, Blais noted. Today, she said, users are happy as the new system as it has boosted efficiency, making information access quicker and simpler. Blais said the 225 users were trained on the new system over three days in a classroom setting. Training was provided by police officers and other staff from the Montréal police force who were part of the project team, she noted. She said Niche Technology provided documentation and manuals used in the training. A hallmark of the project, she said, is the contribution of the 15 “super users”, all of whom work at the storage locations/drug units and were involved in the rollout and customization of the Niche RMS property module. The super users, she said, play a pivotal and ongoing role in the training process. In addition to the basic training that all 225 users received, super users got an additional refresher course 48 hours prior to the rollout. So not only are these 15 power users very adept at using the system themselves, as they all work at the storage sites, they’re in a position to help their colleagues, whenever required, the commandant said. In addition, she said, users have been provided with a support number where they are able to access help 24×7. The deployment of the property management module by the Montréal police, is a precursor to a much larger-scale rollout – of the Incidents and Warrants module, which is already underway. “This rollout is the heart of the RMS project and would involve a big technology change for us,” Blais said. Eventually, the Montréal police force will be implementing all six Niche RMS modules, said John James, director of operations and business development with Niche Technology Inc. They are: crime management, incident management, property (already rolled out), prisoner booking, intelligence and electronic case preparation. 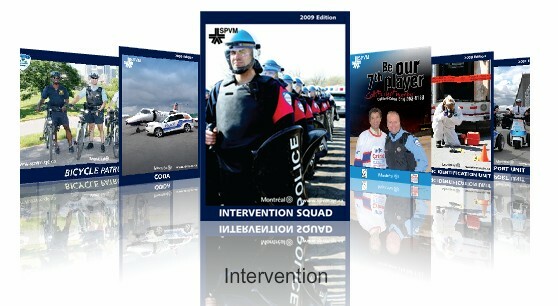 “Most forces take on all six modules to use as an integrated system,” said James, who joined Niche after retiring in the rank of chief superintendent following a 25 year career with the Hampshire Constabulary in the U.K.
James said doing this enables a police force to take advantage of the “breadth of functionality” offered by the system. He said users benefit as data needs to be entered only once and can be reused repeatedly. Also, as a single relational database is used, all information is searchable, across multiple modules. The system’s accessibility via mobile devices – such as laptops and smart phones – is another feature that several Canadian police forces are taking advantage of. When used on mobile laptops, the system offers the same user interface as the standard desktop machines, according to Niche Technology Web site. It notes that the Niche RMS on mobile works whether the laptop has a connection to the radio network or is disconnected and and also operates well over very low bandwidth radio networks. Both features, the Web site says, come in handy when the system is used remote locations. In fact, they were among the chief reasons why the RCMP selected the Niche RMS product, according to a case study on the Niche Technology site. According to Blais from the Montréal police, once the entire rollout is completed, the Niche RMS system will have 5,000 users, and replace 30 separate systems, currently used by patrol officers, investigators and analysts. This major systems consolidation will speed up and streamline records management, she said, as it will dramatically reduce information entry in multiple systems. Apart from individual police agencies, Niche RMS has also been rolled out collaborative agencies representing multiple police forces. One of these is the Ontario Police Information and Technology Cooperative (OPTIC), a cooperative comprising more than 8,000 officers from 43 Ontario police agencies and from the Ontario Provincial Police. OPTIC – the largest data-sharing cooperative in North America – uses a single Niche RMS to share key information about people, locations, and vehicles among members. In the province of Quebec apart from the deployment by Montréal police, a collaborative RMS system has also been deployed by the police force in the town of Gatineau, Blais noted. She said the RMS system Gatineau officers use is from Versaterm, an Ottawa-based provider of information and management systems for public safety and enforcement organizations. 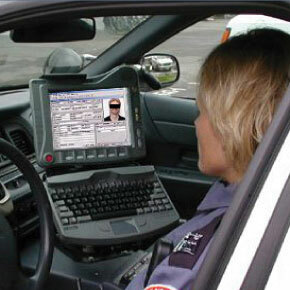 Versaterm’s product suite – dubbed Versadex – integrates with police computer-aided dispatch systems.